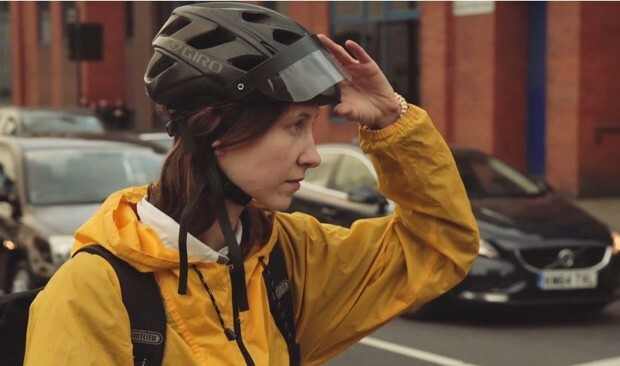 Using a Heads-Up Display (HUD), this visually feeds cyclists navigational directives and landmarks, by using a concept that uses a visor that slides over a cyclist’s face to highlight the best ourite using glowing lines. This technology, while originally intended to help with wayfinding, may also prove to be helpful by increasing safety and warnings through other sensors. 3. The stakeholders who could use this technology may include cyclists, municipal governments, technology developers, and cycling retailers. Step 1: Technical developments would need to be coordinated with municipal data and planning. Step 2: Test the technology and determine ways to improve and optimize its functionality. Step 3: Coordinate the promotion, sales and education of the use of these visors.